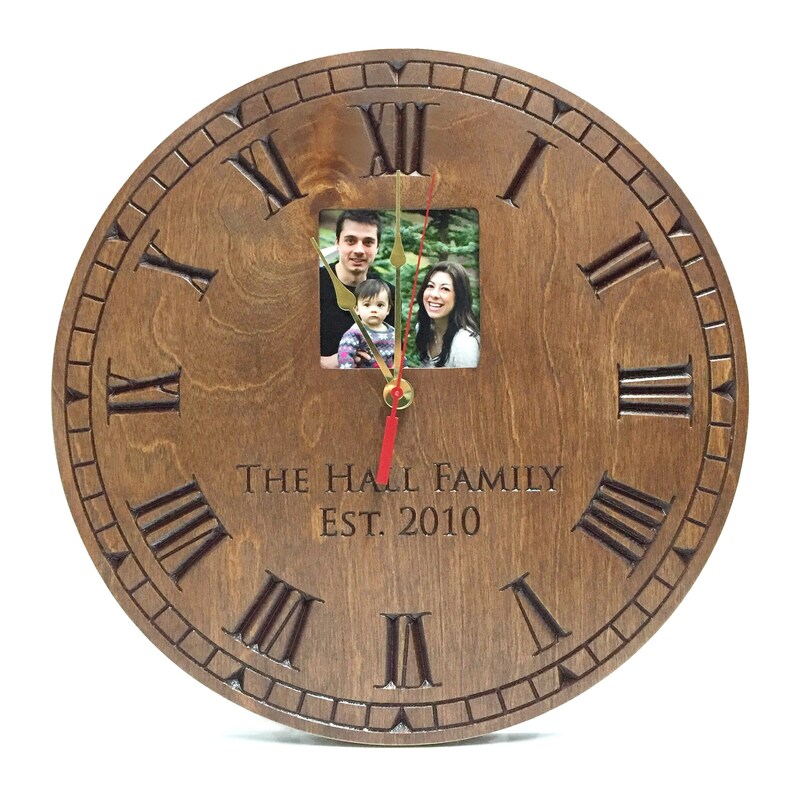 This picture frame clock is custom engraved with the information you provide us. 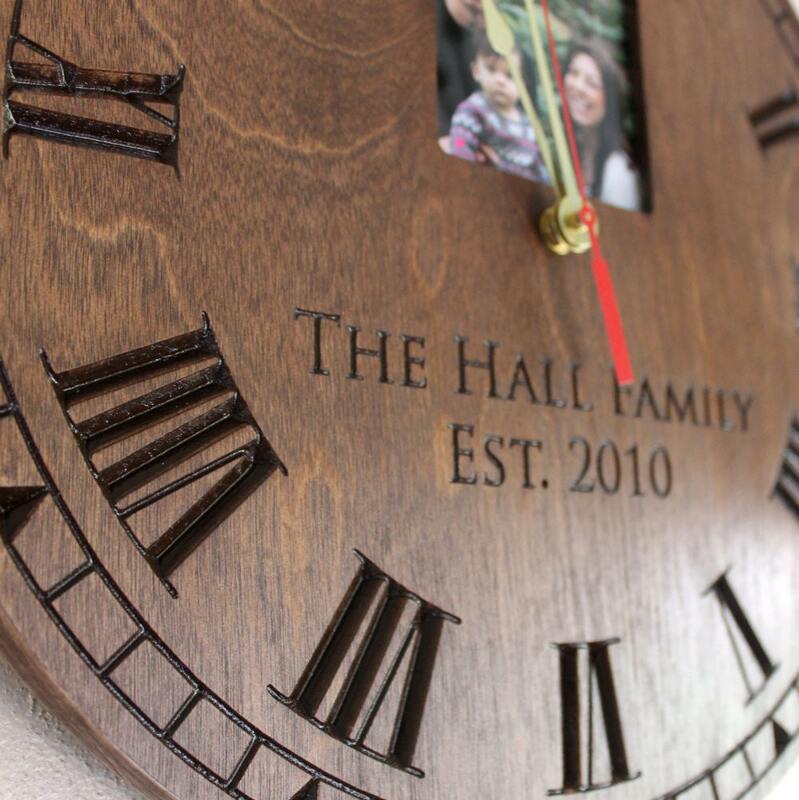 These clocks make great gifts for weddings, engagements, new homes, christmas, or any other special occasion. It is complete in a dark wood finish that is fit for any room that it will be placed in. A hook on the back allows for easy installation while providing a secure mount. This particular clock has a 3.5"x3.5" photo frame incorporated right into the back of the clock with frame clips that swivel open to allow the non glare acrylic glass and frame backing to easily be popped out for photo changing. All clocks come assembled ready to hang.